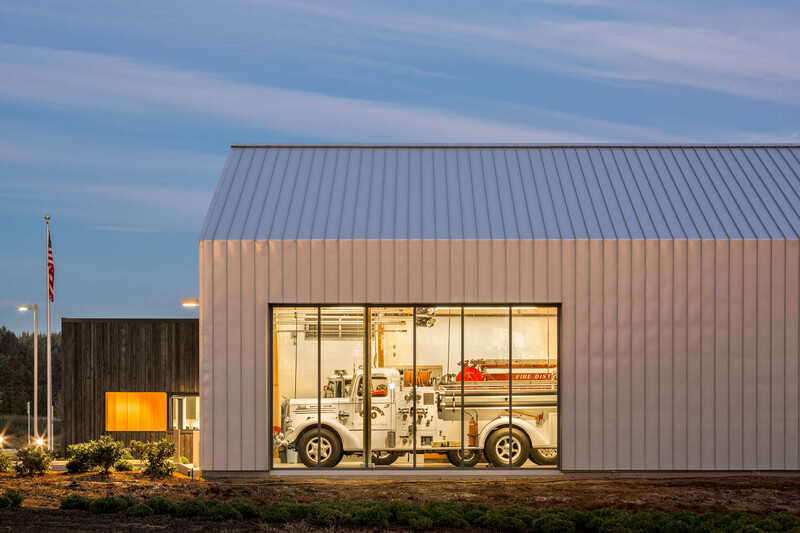 A new Multnomah County fire station located on a five-acre site near Dodge Park in Gresham. 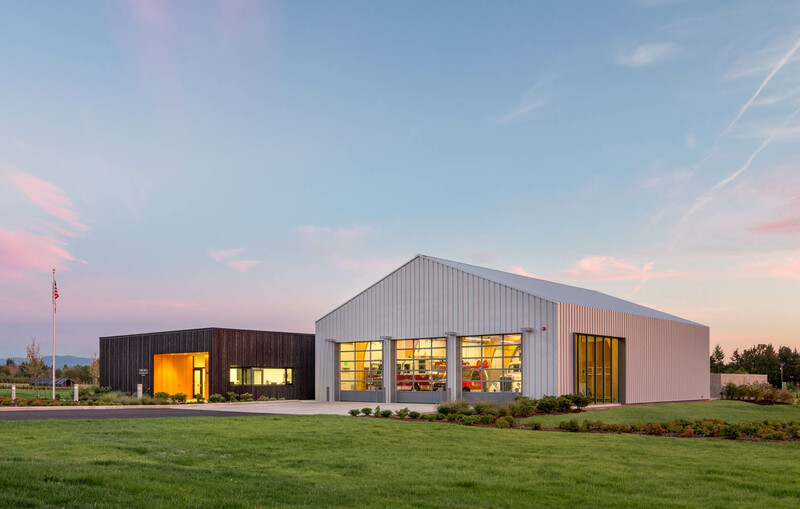 The building includes a 4,120 sf apparatus bay and 6,250 sf of office, dayroom, bunk and fitness area housing up to five employees. 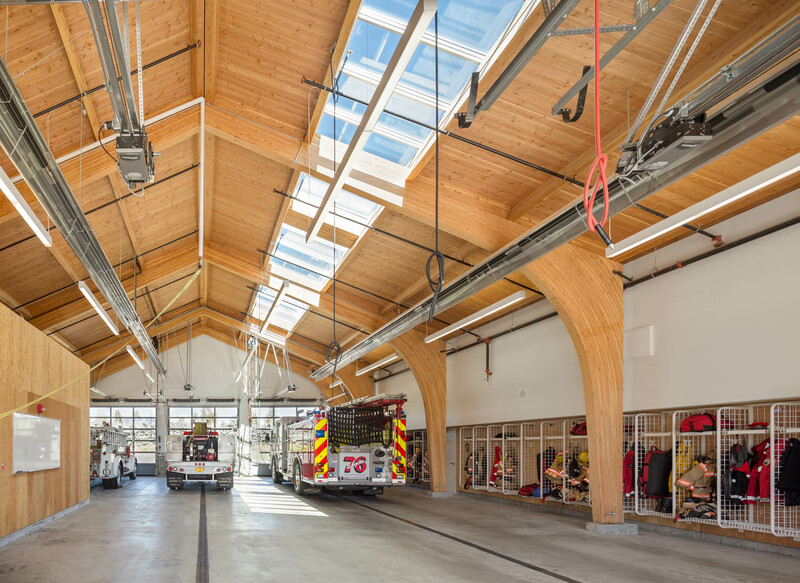 The unique curved Glu-lam structural frames in the apparatus bay give an architectural presence to this functional area. 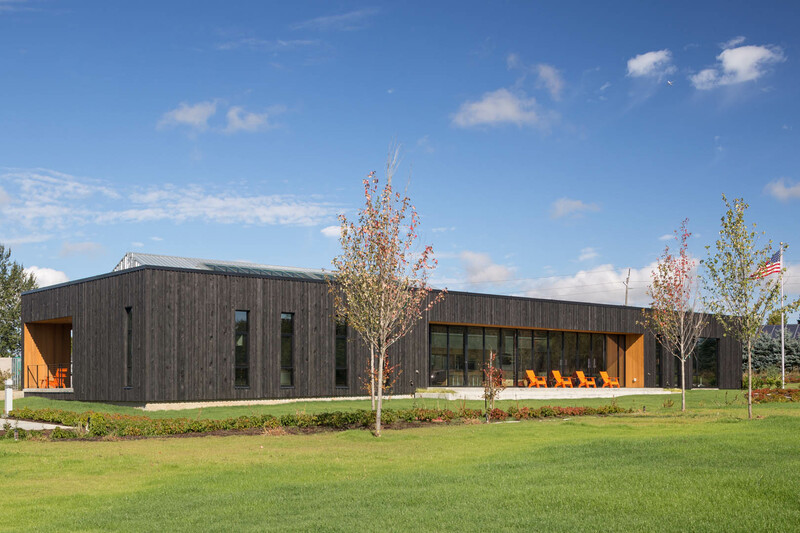 A unique feature to the building’s skin is the reclaimed barn wood siding that has gone through a charring process before being installed. 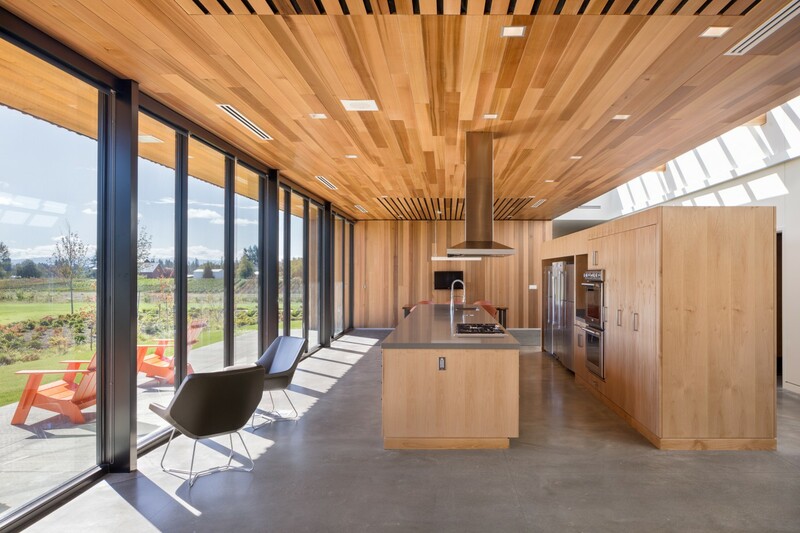 The building has state-of-the-art electronics, including a photovoltaic roof array, and a sophisticated heating and cooling variable refrigerant flow (VRF) system.